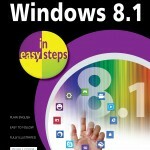 Windows 8.1 in easy steps – Special Edition is a comprehensive, yet concise guide that will walk you through Windows 8.1 basics, so that you will be up and running in no time. Building from Windows 8.1 in easy steps and Windows 8.1 for Seniors in easy steps, this book fully assists you through the processes and settings of the updated operating system, in the easy to follow, step-by-step format enjoyed by over 5 Million In Easy Steps smart learners. 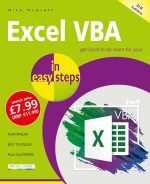 Ideal for taking you to the next level, this special edition book is ideal for anyone who wants to know all the vital ins and outs of the Windows 8.1 interface. Windows 8.1 was released in October 2013 and is a highly developed upgrade to Windows 8. Additions include the improved Start Screen, enhanced OneDrive integration, search functions and the re-appearance of the Start button which can be added to the Taskbar. 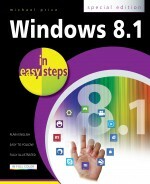 Windows 8.1 in easy steps – Special Edition is a complete companion to the Windows 8.1 operating system, covering set-up and installation, apps, software and devices. Get the most out of Internet Explorer, and keep your device in the best shape possible with syncing, backup and File History. You’ll find easy to follow processes for Windows Update, as well as performance information and Windows Registry. This guide offers detailed instructions on essential Windows techniques, file management, security and much more. Stuart Yarnold is an electronics engineer who has been working in the industry since leaving college. Originally a marine radio & radar troubleshooter, he now devotes much of his time to playing poker professionally and can usually be found lurking in one of the online poker rooms. Stuart lives near Cambridge with his wife Pauline and his two staffordshire bull terriers - Jim and George. His hobbies include woodworking and marathon running.